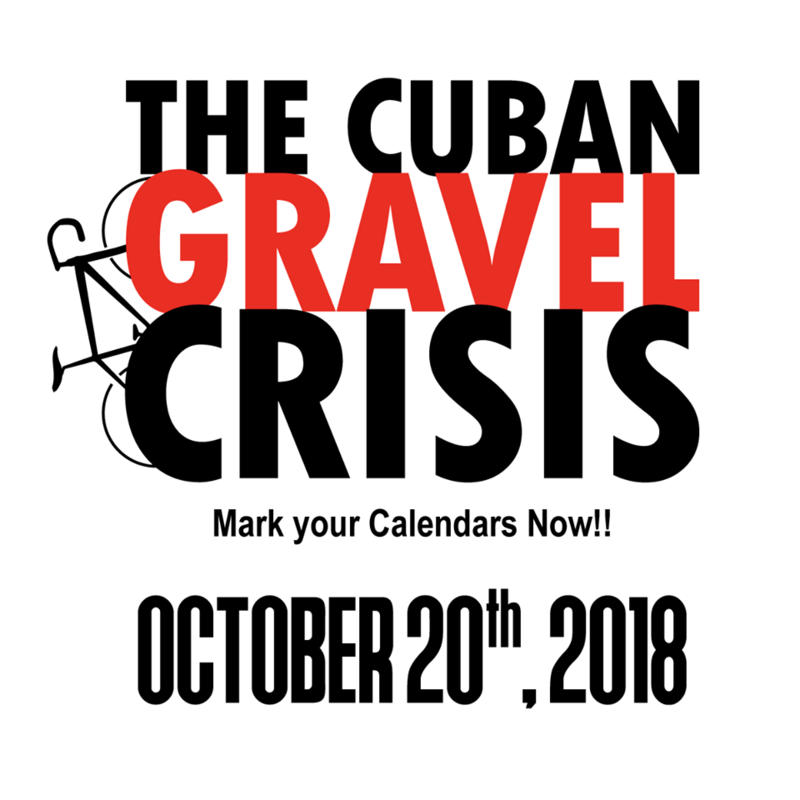 The Cuban Gravel Crisis is a premier cycling event which takes place in conjunction with Route 66 Cuba Fest, in Cuba, MO. This year, October 20, 2018, will mark the race’s fourth year. We’re looking to make this event bigger and badder than ever, and we plan to invite some of the biggest riders in the biz. We offer 3 courses for riders to choose from; 20, 50, and 100 mile options allow riders of all skill levels to participate. The route starts with a paced roll-out along Historic Route 66 for about 1-1/2 miles before riders hit the gravel. 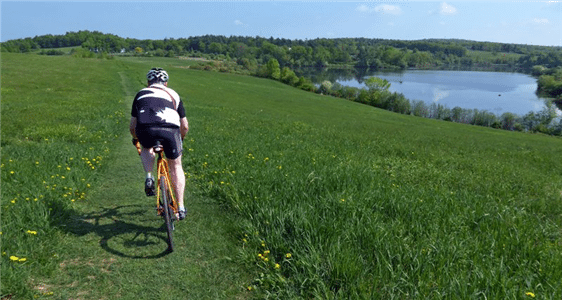 Our routes boast a great mix of some incredibly fast riding gravel, and grueling hills. Our 50 mile course has 3,930’ of elevation gain, and the 100 has over 7,500’. To put this in perspective the DK 100 route has about 4,500’ of elevation gain. This is not only an intense and challenging gravel race, coupled with a great family event in a small town on Historic Route 66, it’s also the race with probably the coolest name of any in the world. You Asked, We Listened! The Cuban Gravel Crisis is excited to announce that we’ll have the best craft beer in Missouri on tap for rider enjoyment (provided you’re 21 or older ?). The Springfield Brewing Company will be the official beverage sponsor of the 2018 Cuban Gravel Crisis on Saturday October 20, 2018. SBC is a huge supporter of local athletes and communities around the Ozarks. We’re looking forward to another fantastic year, and another year of SBC athletes on the starting line. West Side Dirty Benjamin is 100 miles of West Side of the Twin Cities gravel. Now going on its tenth edition. Capped at 350 riders. Registration for the 2019 Westside Dirty Benjamin will begin in February. More goods time to be had! The Westside Dirty Benjamin is a 100 mile gravel road race showcasing the gritty roads of Carver County, Minnesota. It is taking place on June 8th, 2019 beginning and ending in Chaska. If you haven’t done this race yet, I’d encourage you to give it a go. The course is a very scenic route through the hills, with flowing creeks and flowers galore! It’s a very challenging ride with a lot of steady climbing on mostly gravel roads. It’s a remote race, so you’ll be out there on your own for hours at a time. It’s semi-supported, so you’ll have a few places where you can get water, or maybe some raw potatoes, but you’ll also need to carry much of your own gear. It’s a race if you’re into racing, or just a ride if you want to get out and challenge yourself for the day. It ends with a party and plenty of food, as many Crow Peak brews as you can drink, great stories, new and old friends, and a few prizes if you’re lucky. It’s a gravel grinder, that we put on for you, to give you a glimpse of some of the beautiful and unique riding in the area! We hope you enjoy it, and we hope to have you all back year after year! Find it and Grind it! View more Gold Rush Gravel Grinder pictures here. 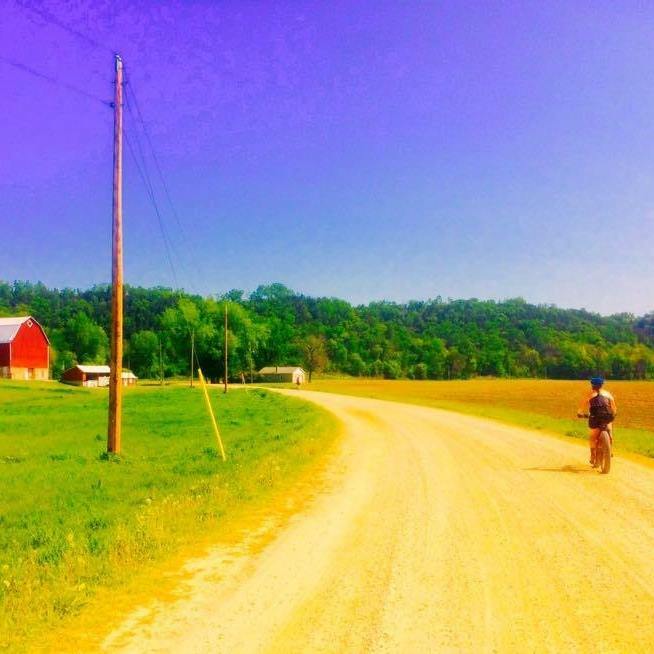 The Farmer’s Daughter Gravel Grinder is a non-competitive “gravel Gran Fondo” of 100 K, approximately 65 miles long, almost entirely on dirt roads with some sections of off-road thrown in as well. You’ll ride through some of the most beautiful scenery in the Northeast, with plenty of climbing, and plenty of fun descents to match. The ride, named after the Chatham Brewery’s ale born and brewed in Columbia County in beautiful upstate New York offers a challenging course with rewards at the finish. A selection of gourmet food truck vendors will be at the finish area to allow riders to relax and replenish after a long ride. All riders 21 years or older completing the ride will receive a coupon for one free pint of Chatham Brewery’s Farmer’s Daughter Ale. The start/finish is at the Columbia County Fair Grounds. Google: 182 Hudson Avenue, Chatham, NY 12037. Start Time: 9:00 AM, Sunday May 15, 2016. Free Parking. The course will be approximately 65 miles in length with over 6,000 feet of climbing. Approximately 45 miles of the ride will be on maintained gravel roads. Several “sections” will be on unmaintained dirt paths or double track trail. A cyclocross bike, gravel grinder bike, or adventure bike is optimal for the course, and a hard-tail mountain bike would also work well. Two fully supported Aid stations, portable toilets, and sweep vehicles will be provided. Be sure to carry some food and water, though, as well as the usual spare tubes, tools, and pump. Be prepared for a challenging but fun ride! You can register online at our Bikereg.com page. 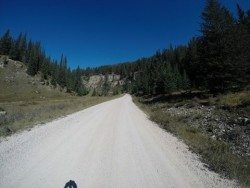 RiotGRRRavel is a free unsupported 10, 21, or 33 mile gravel race in near Hastings, MN that is a fun, accessible ride that is FTW & family friendly. The Skelton Thomas family, friends and volunteers organized the first Riotgrrravel in 2014 to introduce more women to gravel bike racing without having to race in a 100 mile course with a large percentage of male participants. Each year it has continued to grow, and we are grateful for the Skelton Thomas’s leadership in organizing the event from 2014–16. Special thanks to Victoria Malawey, family, and friends as well, as they took over from 2017-18. New as of 2019, Seven Spokes Bike Shop and Seven Spokes Racing will be organizing the event. We are very excited and very grateful for this opportunity. Female, trans*, and gender non-conforming riders will receive priority in registration as this event is designed to support them. 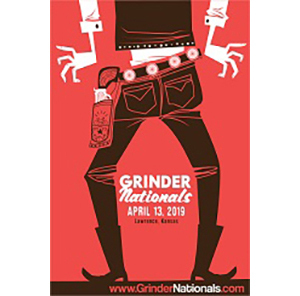 We encourage cisgender men who wish to participate to ride with a female, trans, gender non-conforming rider, or a family member (any gender) under 18. Alternatively, men who wish to support the event may choose to volunteer (contact Maggie at ss.riotgrrravel@gmail.com to volunteer). The start and finish line will be at the Hastings Hope Lutheran Church at 16898 Michael Ave Hastings, MN. We are grateful for the support and gracious hospitality of Hope Lutheran Church and excited to embark on our sixth year of collaborating with them. Ride whatever kind of bike you want or have … Road bike, Mountain Bike, Cross Bike, Tandem, Single/Fixed, Snow Bike, or Unicycle. 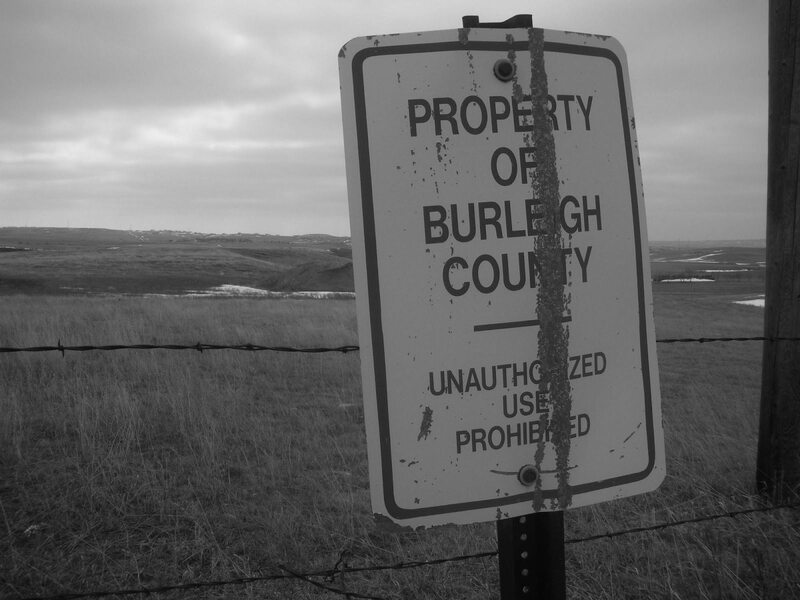 The Burleigh County Cup is North Dakota’s premiere all gravel road event. A gravel road bicycle event throughout the challenging and scenic hills of Burleigh County, North Dakota. Two options: 75 mile Burleigh County Cup and 35 mile Sippy Cup. About the event: This will be a self supported gravel road cycling event (though the 75 miles option will have a drop bag option) on the gravel roads (very hilly at times) of Burleigh County, just outside of Bismarck, North Dakota on May 7th, 2016. There will be two distances: 35 miles (The Sippy Cup) and 75 miles (Burleigh County Cup). A gravel road bicycle event throughout the challenging and scenic hills of Burleigh County, North Dakota. 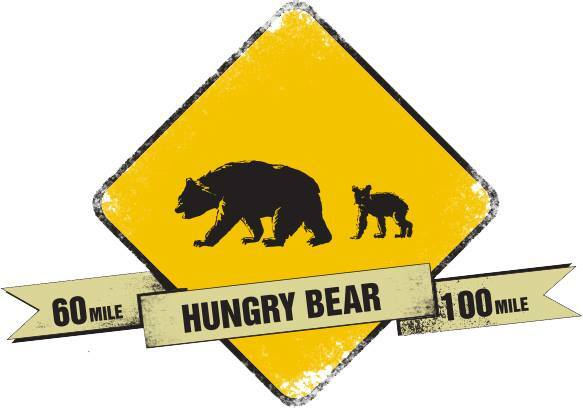 Announcing the 2019 Hungry Bear 100, the true wilderness gravel event around the Chequamegon National Forest. The 2018 Hungry Bear 100 is presented by Terrene Tires, and supported by TwinSix and Wolftooth Components. We owe them tremendous thanks for backing our events, and bearing the cost of putting them on so that we can continue to accomplish our goals. We are also happy to introduce Tilly’s Pies – a new pie shop right next to River’s Eatery, from the owners of River’s Eatery. With your registration this year, you will get a free slice of pie at the end of the event! We have a great course in store for you this year, some new surprises after the event and below is all the info you could ever want about race day! You’ve never ridden King Ridge like this. We are starting in Duncan’s Mills this year so we will start with a slow burn up Bohemian Hwy to Occidental. Then climb up Coleman Valley and descend Willow Creek on dirt. Hwy 1 to Fort Ross. Dirt descent to Salt Point. Dirt climb up Kruse. Climb Hauser Bridge. Back King Ridge to Caz and finish on East Austin Creek Rd near Duncan’s Mills. If you are looking for a supreme cross/dirt/gravel challenge this is it. Road, cross, Diverge….? Depends on what you have and what you can ride. Big tires and don’t flat! If you loved Old Caz this ride will blow your mind! Option #2: Riders will head out River Rd to Hwy 1 and follow the same course as the big loop. Eliminates climb to Occidental and Willow Creek descent. You will still have the Salt Point dirt descent and Kruse dirt climb so a gravel bike with slick/semi slick tires or a road bike with 28c would be a good option. The Wild Horse ride. 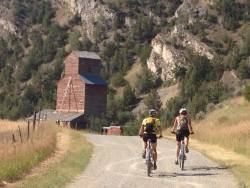 Utah’s first Dirt Fondo, held in the Cedar Mountains. Introducing a new type of bike ride. Zero miles of pavement. Wide open. Challenging. Explore a land only 45 minutes west of downtown Salt Lake City where hundreds of wild horses roam. The Wild Horse will travel around and over the Cedar Mountain Wilderness, located 45 minutes west of Salt Lake City on I-80. Zero miles of pavement. All dirt and gravel roads. You will cover 76 miles and climb 5,000 feet. A link to detailed event FAQ can be found at the bottom of the page, or just click here. The entire route is on county-maintained roads that are usually passable by any 2wd vehicle. The first nine miles are rolling uphill leading to the first real climb, up and over Hasting Cutoff Pass. Descend from the 5,775 foot summit to the west side of the Cedars, and begin a rolling, fast ride south. At mile 38 the second climb, up and over Rydalch Pass, begins. Rydalch summit, at a little over 6,000 feet, is the highest point on the route. Descend to the east bench and begin the long, winding return. A rest stop at mile 54 provides a welcome break. You cross past the base of the Hastings climb again at mile 67. From there, it is mostly downhill, fast and smooth, for the 9 miles back to the finish. Not up for the full deal? Try the Little Wild Horse.